When robots arrive, they do so in style! We stand witness to some of the greatest technological inventions in history, an area of pioneer research being the use of robotics in medicine and healthcare. The aim is to enhance quality of living by means of artificial intelligence. Non-rigid or soft robots have certainly evolved over generations of trial and error, and taken precedence over traditional robots due to their low weight, customizable nature, their capacity to easily mimic human activity and in most cases, their awareness to the environment. 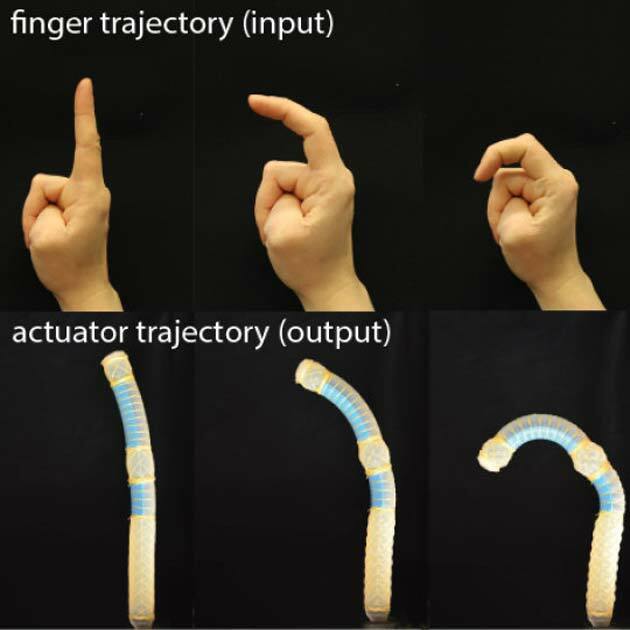 Researchers of the John A. Paulson School of Engineering and Applied Sciences and the Wyss Institute of Biologically Inspired Engineering, with the help of contactless sensors and bio-actuators, have taken the concept of soft robotics a step further. This was done by creating deformable prosthetic hands that replicated complex human hand movements, organically rather than mechanically i.e. 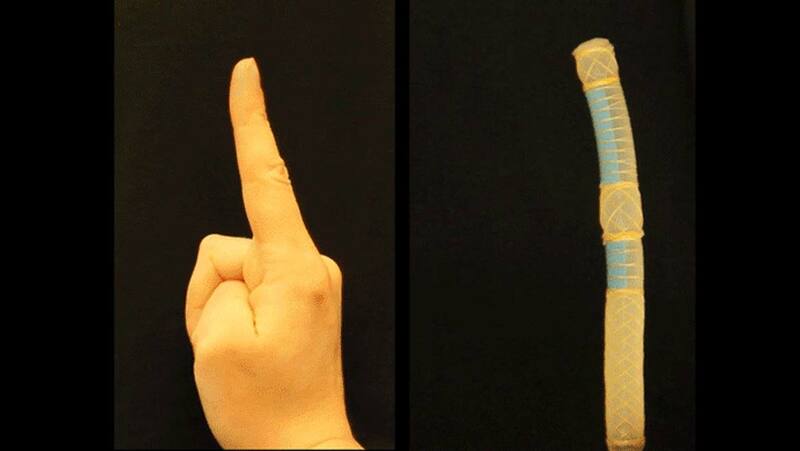 in this case, the ability to twist and bend fingers and wrist, and grasping objects with minimal control. The approach used a tool for the automatic creation of a sequence of actuators (they found that a single type was insufficient) based on desired motion. The actuators, each per motion, were made of fiber and fluid-run to achieve accurate biological movement when powered. Professor and co-author Kate Bertoldi believes the mechanism is capable of a wide range of movements, “… plug in a motion and it would tell you how to design the actuator to achieve that motion.” This is the uniqueness of this method, in contrast to theoretical studies in the past.